new homes must have third-party home warranty insurance. This home warranty insurance provides two years of coverage for defects in design, materials and labour (some limits apply), five years for defects in the building envelope and 10 years for structural defects (often referred to as “2-5-10”). If a new home is re-sold within 10 years, any remaining home warranty insurance coverage is automatically passed on to subsequent purchasers. However, some new homes, such as those constructed by owner builders, are exempt from these requirements. It is critical to confirm whether the new construction has a Home Warranty in place, or if it is an “Owner Built Property”. CUSTOM HOME OR “SPEC” HOME? Do you want a ready-to-move-into home or do you want to design every detail? At one end, a custom home is designed from scratch for your site and to your specifications. At the other end, a spec home is built on speculation by the builder or developer without a specific buyer. Other options in between offer various degrees of customization. In all cases, new custom and spec homes must be constructed by Licensed Residential Builders in British Columbia to be covered by home warranty insurance. No matter which type of new home you are buying – a brand new custom-built home or a spec home the contract needs to specify exactly what work will be done and when, what you are buying, what you will be charged and when you will pay. If you plan to have a custom-built home built on land you own, talk with your home insurance company (not the home warranty company) before any work begins, to make sure that your policy covers the risks related to your project. 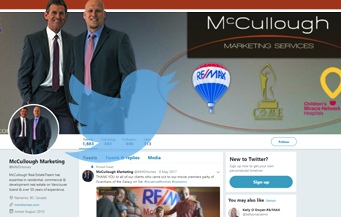 McCullough Marketing can ensure that your interests are professionally represented when buying a custom or spec home, and provide you with expertise in contract writing, negotiation and closing assistance. Recently, the BC government issued new policy statements and disclosure requirements regarding pre-sales that consumers should be aware of. All prospective pre-sale purchasers of strata properties with 5 lots or more should receive a Disclosure Statement from the builder or developer, as required under the Real Estate Development Marketing Act, and must be given a reasonable opportunity to read it. The Disclosure Statement describes the property that is being sold and the purchaser’s right to cancel the pre-sale contract within seven days of signing it. In the case of a strata property, the Disclosure Statement also includes a summary of the project’s common property features and amenities, its governing documents and its budget for the first year after registration. It also outlines the developer’s background, if it has been bankrupt within the past five years or been disciplined in the past 10 years for matters relating to real estate and any conflict of interest that could reasonably be expected to affect a buyer’s purchase decision. Pre-sale purchasers enter into a pre-sale contract with the builder or developer, and make a deposit. Typically the contract will stipulate when the unit will be constructed and completed and the fixed price for the home as well as any changes or substitutions that the developer may make under the contract. Once the contract is signed by both parties, it is legally binding. You have a seven-day “cooling off” period from the time you receive a copy of the signed contract or the time you acknowledge receiving the Disclosure Statement (whichever comes first) in which to finalize the sale or withdraw your offer. Contracts for residential units purchased on a pre-sale basis are sometimes sold or “assigned” to another purchaser even before construction has been completed. This contract assignment is a legal sales transaction where the second purchaser takes on the rights and obligations for the new home contract from the original purchaser. The original pre-sale contract with the builder or developer will stipulate if assignments are permitted, if a fee must be paid for the assignment and any other terms or conditions. Brian and Myles have taken specialized training in how GST applies to new construction. They can walk you through the entire process and provide you with a definitive figure as to what your home will cost. They can provide you with the GST forms, and advise you as to whether or not you qualify for a rebate (if you purchase a new home to live in, or acquire a new construction for rental purposes – you qualify for a rebate. If you purchase a new secondary residence or recreational property – you do not). 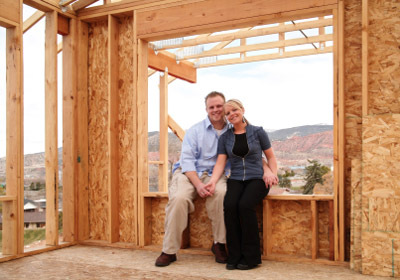 Let McCullough Marketing assist you with your new construction needs.